ANU Degree Revaluation Results 2018: ANU Degree 1st, 3rd, 5th Sem Revaluation Results Oct/Nov 2018 For BA, B.Com, B.Sc, BBA declared at nagarjunauniversity.ac.in. Students can check their ANU degree 1st sem revaluation results, ANU degree 3rd sem revaluation results, ANU degree 5th sem revaluation results below. 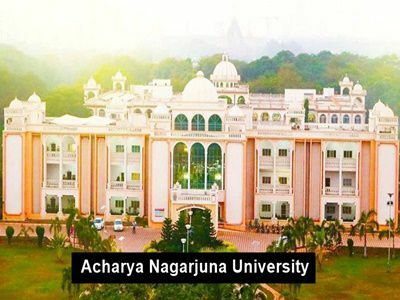 Acharya Nagarjuna University has conducted the Degree 1st, 3rd, 5th sem examinations in the month of October & November 2018. Huge numbers of I, III, V sem candidates studying in various Under Graduate Degree course have appeared for the examinations in the month of October. The ANU conducts the regular and supplementary examinations for students pursuing in various courses like BA, B.Com, B.sc, BBA etc. Candidates those have appeared for the ANU Degree 1st semester Examinations can check their ANU Degree 1st, 3rd, 5th sem RV results from ANU official website, nagarjunauniversity.ac.in. Check more details of ANU Degree results from the below article. The ANU is going to release the results of various Graduate Degree courses such as BA, B.Com, B.Sc and other courses. Candidates can check their ANU Degree 1st, 3rd, 5th Sem Revaluation Results 2018 For Regular/ Supply Examinations and marks, grade obtained in the examinations. BNP — Means you are benefited in revaluation but not passed. For example if you got 12 in external exam results and in revaluation you get total 16. Then your are BNP. BP– Means your are benefited and passed. i.e., marks are added and you are passed. NB– Means your not benefited i.e., no marks are added in revaluation. Aadhey marks vuntey maku ooka clarity aantu vundithi…sir..
What meen BN please replay me.